We perform almost all the services that a patient from 3 to 103 might need or want. Snore? Never feel refreshed even after 8 hours of sleep? Dr. Gary and team can help! Dr. Gary began his journey years ago in the treatment of Sleep Apnea treatment. His journey began because of his own snoring and constantly being tired. Most people with sleep apnea can be treated with an oral appliance used while sleeping. An oral appliance is easy to wear and easy to travel with. It is the biggest life changing procedure we perform at Simpsonville Family Dentistry. Ask us today how we can help. Dr. Gary and his staff bring to each patient a combination of gentleness and skill that results in quality dental care which is done with the least pain possible. We perform almost all services that a patient from 3 to 103 might need or want. Our staff focuses on offering care for your entire family that is both complete and comfortable. 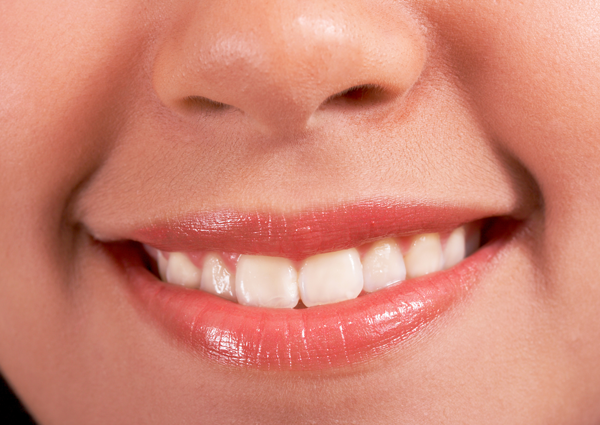 We offer services from basic fillings to denture stabilization to crowns and bridges. We also offer oral sedation to help put you at ease and make your experience as pleasant as possible. At Simpsonville Family Dentistry we understand that each patient’s needs are unique, and we will listen to you and help you and your family get the healthy, beautiful smile you want. Having crowns put on your teeth is often a tedious, extended process. Dentists prescribe crowns to reinforce a weak tooth, repair chipped or cracked teeth, to hold a dental bridge in position, to improve the tooth’s appearance, or for a variety of other reasons. Some crowns are emergencies such as the example where someone breaks a tooth while eating. Other crowns correct chronic, long-term damage such as teeth that are worn thin from years of grinding. This capability is currently limited to a minority of dental offices who have the right training and equipment. Ask our receptionist about scheduling your visit. Simpsonville Family Dentistry offers a wide variety of the latest cosmetic dental procedures to help your smile be more beautiful than ever. These services include cosmetic porcelain crowns and onlays, porcelain veneers, tooth colored fillings, Zoom! in-office tooth whitening, tray whitening, and dental implants which can enable you to replace one missing tooth to all of your teeth. 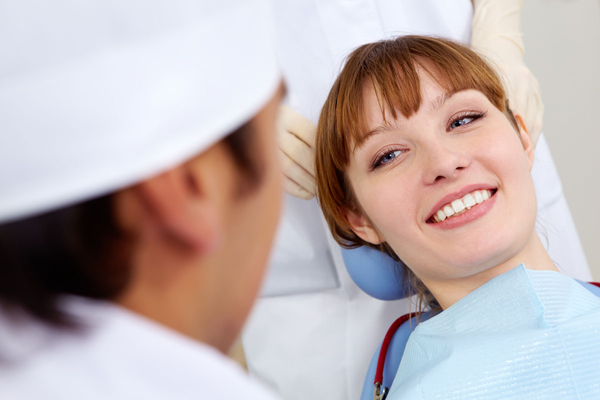 Dr. Gary’s goal is to provide beautiful work that is performed as comfortably and affordably as possible. A crown is a tooth shaped “cap” that is cemented onto a weakened tooth to restore the tooth to its proper shape, size, and color. A crown is indicated when you have a very large existing filling that is breaking down, a very large cavity, a root canal on the tooth, or a fracture inside the tooth. White fillings (composite resins) are the cosmetic option to restore teeth that are damaged by decay or to replace failing old fillings. Composite resins are chemically bonded to the tooth and can be placed more conservatively than older filling materials. Composite resins can also be used to improve your smile by closing gaps between front teeth and as a veneer material to change the color of a tooth that is different than its surrounding teeth. Implants are small titanium “roots” that can be used to replace missing teeth and to stabilize removable appliances, such as dentures or partials. Implants allow us to replace a missing tooth without damaging the tooth on either side. It also allows for dentures that previously needed glue to be stabilized allowing for better chewing and less worry from the patients. A bridge is a way to replace a missing tooth/teeth when you have a tooth to the front and the back of the gap. It is fixed in the mouth which means it is not removable. The existing teeth are prepped for crowns. The lab fabricates a bridge which has crowns for the 2 teeth and a crown for the missing tooth/teeth which is all joined to together as one. The bridge is then cemented in, and will allow the patient with 2 actual teeth to then have 3 or more teeth to chew with. A root canal is a way to save a tooth that has become infected and painful. When a tooth becomes painful or swollen, a root canal is a way to go remove the infection from the tooth, clean and disinfect the tooth, and then restore the tooth to being functional and pain free. Most teeth with root canals usually require a crown to help strengthen the tooth from further fracture. A denture is a way to replace all the top or bottom teeth with one prosthesis. Dentures are often more esthetic than a patient’s original teeth since we can pick an ideal shape and patient can pick the color of the teeth. A denture is often the most economical way to restore a patient who is unable to save their existing teeth due to decay, gum disease or finances. Dentures are often paired with implants to allow for a “snap” fit which prevents your denture from moving during chewing and talking. Dentures can even be fixated with today’s implant technology so they no longer come out at all. A partial is a “partial denture” for a patient who is missing many but not all of their teeth. A partial, unlike a denture, has a snap fit and is more stable since it gets support from teeth as well as the gums. A partial is usually easier to adapt to than a denture because it is smaller and thinner. A partial is a great way to replace multiple teeth while saving money. Tooth whitening is by far one of the most asked for procedures in dentistry today. Teeth can be whitened in many ways from strips to custom fitted trays to in office whitening systems that can whiten your teeth in 2 hours or less. We are glad to offer all 3 ways so we can help choose which option will best suit your desired results. 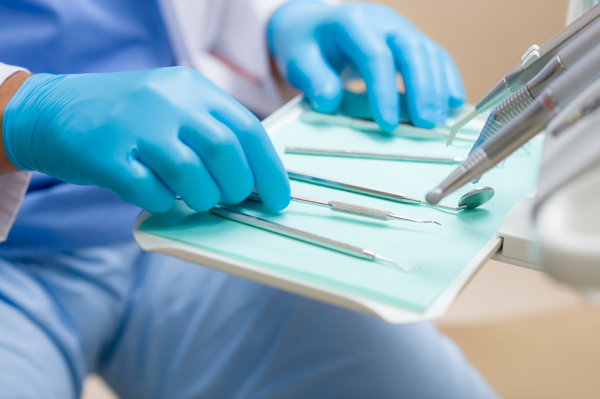 Regular dental cleanings are crucial to your dental and overall health. Many medical issues, such as diabetes and heart disease are currently thought to occur at higher rates with people who suffer from gum disease. More diseases are being linked every year tough disease. The key to preventing gum disease is a combination of regular dental cleanings and good brushing and flossing habits. A dental cleaning consists of measuring your gum heights which tells us if you have gum disease or not, cleaning and polishing your teeth, an oral cancer exam with our Identifi , x-rays as needed, and an exam by the doctor. Regular gum care and exams by the doctor are by far the most important part to any person’s dental health. Current research is showing that 40-60% of the adult population suffers from some form of gum disease. A gum treatment is needed when your gum measurements reach an unhealthy number. It is a non-surgical way to treat gum disease and allow for you to return to dental health and keep your teeth longer. Most patients report that gum treatments feel exactly the same as a cleaning. 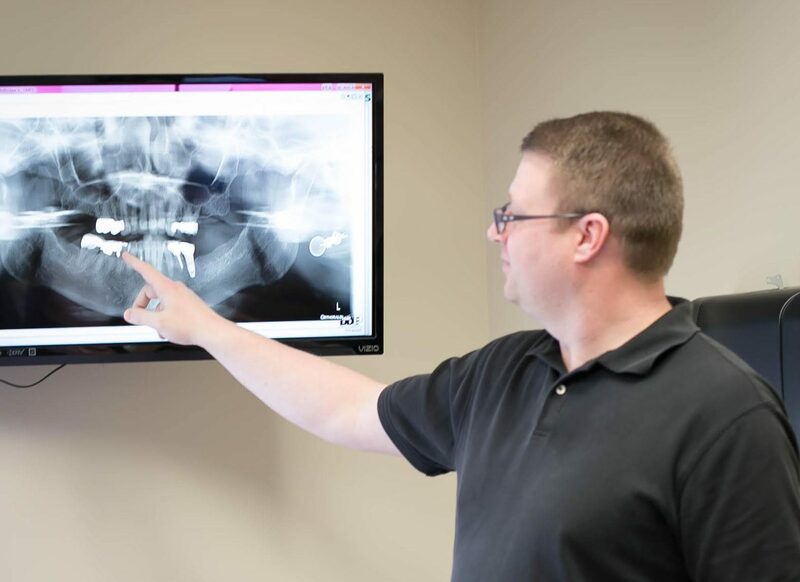 Digital dental x-rays are a key to a healthy mouth. Digital x-rays allow us to see cavities between the teeth when they are really small which prevents the removal of unnecessary tooth structure and decreases the risk of future crowns and root canals. They also allow us to find cysts and tumors that aren’t visible in the mouth, see the development of teeth in children, find and locate wisdom teeth, better plan implant surgery, and find infections in a tooth often before it hurts. Digital x-rays allows us to make the image bigger, zoom into the image, and see things we couldn’t see with old x-rays. Best of all, it allows us to use even lower radiation than x-rays of the past. Sealants are protective coverings that are flowed into the deep grooves of teeth. A sealant prevents bacteria from being able to get into the deep grooves which prevents dental decay. Sealants require no cutting of tooth. Ideally molars should be sealed as soon as they erupt to limit the risk of decay. A dental laser is a great addition to our dental repertoire. Dental lasers can be used to replace scalpels in many situations with better results, better healing, and less pain. Dental lasers can be used to treat gum disease, remove lesions, remove excess gum in an area, to decrease bleeding, and many other surgical procedures. Many patients grind or clench their teeth all night long. Over time this can lead to cracked teeth, short teeth, root canals, crowns, fililngs, and pain the TMJ. Sadly many of the previous treatments and pain could have been prevented had a patient slept in a guard. Our occlusal guards come in many different varieties and are custom fitted to your mouth. We will help you decide which guard is best for you. Do you snore or know someone who snores? Many patients who snore also have sleep apnea. Sleep apnea is a disease where you quit breathing throughout the night multiple times. It not only prevents you from getting a good night sleep, but it can also be deadly if not treated. Sleep apnea has been historically treated by CPAP appliance, but many patients cannot adapt to a CPAP. In those patients, an oral appliance is often a better option. We can discuss with you which of the many oral appliances is best for you based off the level of your disease and your desires.